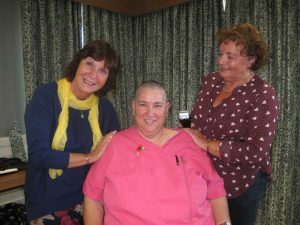 CASS would like to send their heartfelt thanks to Tracy Oulton for completing her head shave to raise funds for CASS. 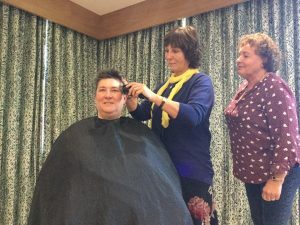 We thoroughly enjoyed a fabulous afternoon in the beautiful Crispin Court Care Home, surrounded by residents and staff supporting Tracy as she braved the shave. 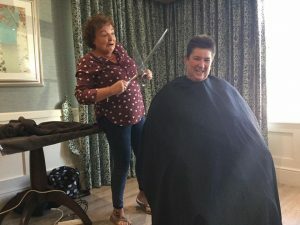 Tracy, who has raised £600 from the head shave chose to fundraise for CASS after she received support whilst she cared for her mother, who was diagnosed with dementia, and her sister who also had additional care needs. 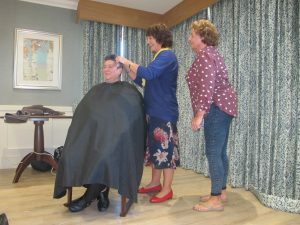 All the staff at CASS and our Carers would like to thank Crispin Court for their wonderful hospitality, everyone who supported and donated money and especially to Tracy, who didn’t even flinch when our Chief Operating Officer got to take hold of the clippers! 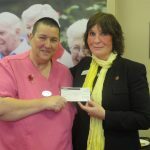 You can watch the fun over on our Facebook page as we streamed live from the event. 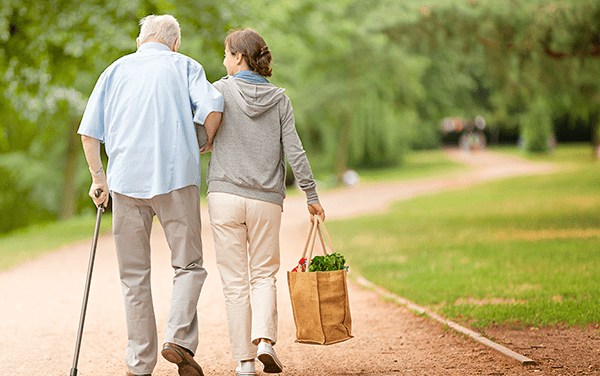 As a charity, we rely on the generosity of individuals to help us continue our vital work in supporting Carers in Staffordshire with the support and advice they need. 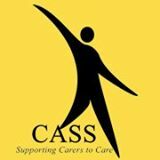 If you think you could help by holding a charity fundraiser, please contact CASS on 01785 222365.